$13,000 Price Reduction! Delightful tri-level condo in the coveted heart of Historic Spring Garden. 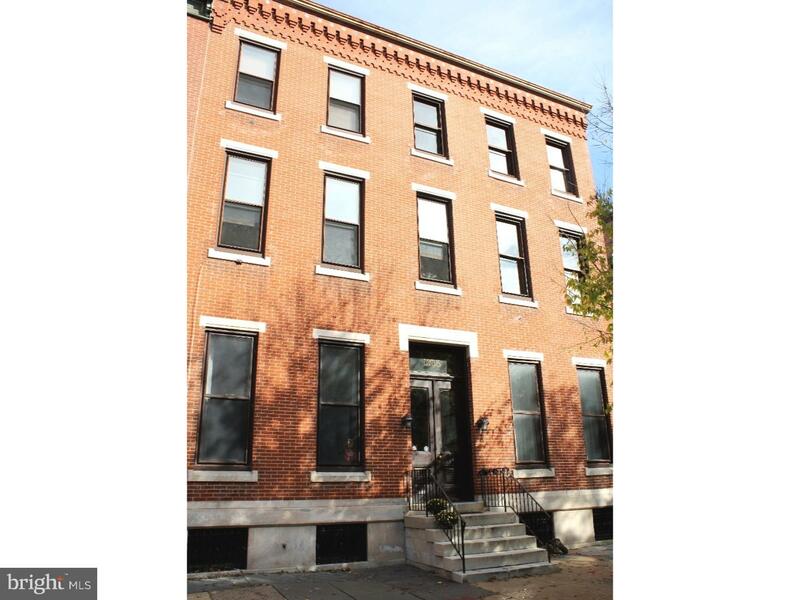 Located on tree-lined Green Street, the stately brick building has only 6 condos and a shared inner courtyard. Enter this light-filled unit on the 2nd floor to enjoy 3 level living. First level has living room with dining area and hardwood floors, 10 ft plus ceilings, triple crown molding, high baseboards, deep windows with wainscoting beneath, and a beautiful decorative fireplace with marble mantle. The updated kitchen has tile floor and backsplash, farm sink with goose neck faucet, stainless appliances and sleek cabinetry. The 2nd level features a large bedroom with hardwood floors, 2 closets and a sliding door wardrobe closet for extra shortage. Two long windows overlook the outdoor courtyard. There are convenient built-in shelves just outside the full bathroom which has penny tile floor, pedestal sink and tub/shower combo with tile surround. The third level boasts a full wall of windows with striking views of the city. This light-filled room can be used as an office, den or guest room. Extra storage is available in the basement of the building. Superb location within walking distance of Whole Foods, many other shops, restaurants and cultural venues such as the Rodin, Barnes and Art Museum.